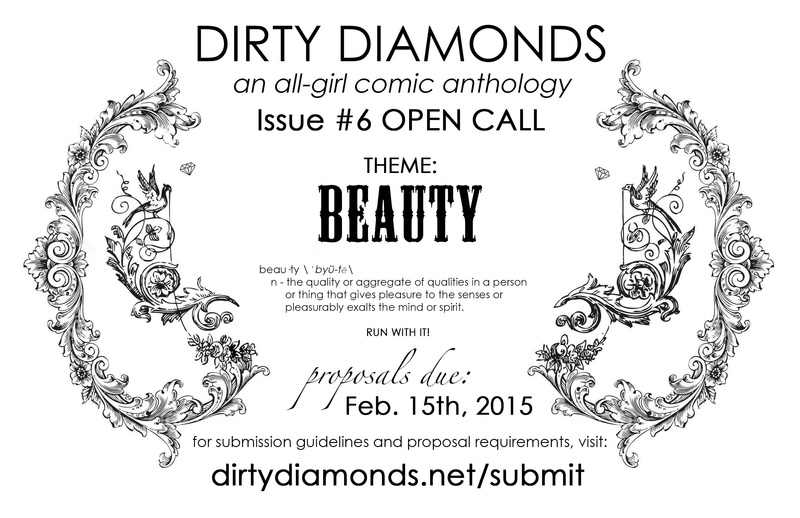 Dirty Diamonds is currently closed for submissions. 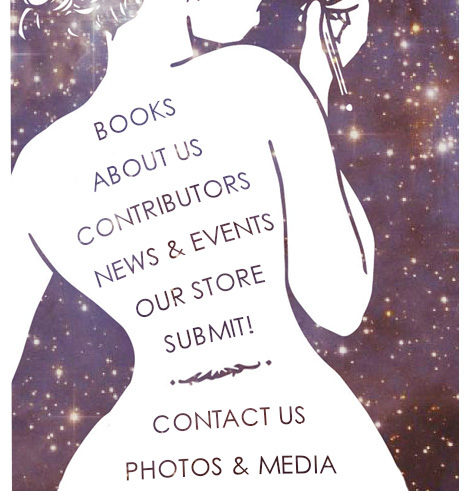 Keep up with us here and on social media for upcoming opportunities to submit! * A general overview of your story, such as the plot, dialogue notes, thumbnails, etc. * How your comic fits the theme (Beauty) - feel free to be creative with the definition! Deadline: All proposals must be submitted by February 15th, 2015. 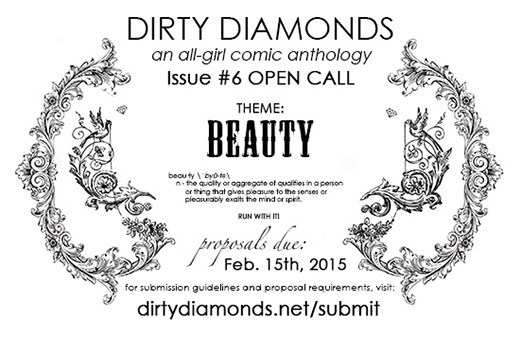 All-Girls: Dirty Diamonds is an all-girl anthology, meaning we are all-inclusive. If you identify as female, we want your comics! (Semi-)Autobiographical: With each issue, we're interested in showcasing the lives of the artists that create these comics. (Semi-)autobiographical means we're looking for comics that are true to, or in some way inspired by, your life! Funding: We will be launching a Kickstarter campaign early in 2015 to fund the production, promotion, and distribution of the book, as well as the compensation for all of the contributing artists. More details will be available closer to the campaign's start date in Spring 2015. Payment: We will be offering compensation to all accepted contributors based on the successful completion of our upcoming Kickstarter campaign. Contributors will also be entitled to a set of free contributor copies of the completed issue and will have the option to purchase additional copies at a discounted wholesale rate. Page Specs: All submissions should be anywhere from 2 to 4 pages in length, and completed in black & white or grayscale. Files should be at least 300 dpi. Try to keep all individual files under 25MB to avoid any issues with your email reaching us, unless you plan to use a file sharing site. Your page dimensions should be 8.5" x 11" (larger is fine so long as the aspect ration remains the same, such as 11" x 17"). Pages will be printed with a 0.25" margin. The accepted file types are JPG, TIFF, and PDF. Creative Rights: All work is owned by the respective author(s). Contributors agree that by submitting, the Dirty Diamonds editors are permitted to distribute their work in perpetuity. Contributors are always permitted to distribute their work on their own after the publication of Dirty Diamonds. No portion of Dirty Diamonds may be reproduced without the permission of the author(s), except in the case of reviews. If you have any questions, feel free to send us an email. We can't wait to see your work!